There is an old Armenian saying, “The emptiest pot makes the loudest noise.” Logisticians do not usually make much noise talking about themselves, nor their craft. Instead, they keep busy executing a full range of support tasks and thus, often fail to devote the time required to tell their story. But here it is: In the midst of unassuming jobs where sustainers pack the next container full of munitions, distribute fuel, police the streets, feed the force and perform an immeasurable amount of other invaluable support tasks—the importance of their craft often gets lost in the fog of plans and policy at the national level. In reality, the narrative from the professional logistician will always pale in comparison to that of the American sniper or the Seal Team. However, the fact is sustainment remains inextricably linked to protecting vital national interests. Sustainment actions serve as a crucial component of enhancing a collective theater posture that advances common interests of multinational partnerships, addresses shared threats, and facilitates U.S. freedom of movement and access throughout the theater. In early 2016, the Director of Intelligence for U.S. Pacific Command (USPACOM) described sustainment as, “The only 24-hour a day, 365 day fight in the Pacific. It never stops.” How Army force is postured to respond on a global scale to the next crisis or contingency is directly tied to how the theater is set. The Pacific covers approximately half the Earth’s total surface area. In turn, setting the Pacific theater requires routine refinement of the forces, footprints and agreements necessary to support regional operations and missions. This includes responding to natural disasters, man-induced situations, or security cooperation efforts across multiple regions. Setting the theater, involves the whole of government for forging alliances, partnerships, engagement strategies, acquiring facilities and resources to enable military resolve across a range of military operations. There are no rail movements or road marches measured in hours; many of the strategic responses in the Pacific require air movements and open ocean sails measured in days and weeks. The USPACOM area of responsibility is home to multiple 3 and 4-star service commands (USARPAC, PACAF, PACFLT and MARFORPAC), as well as sub-unified commands in Korea and Japan, each of which will rely on an Army-heavy logistics backbone to meet crisis planning requirements. Ultimately, a set theater places a premium on relationships which serve as the foundation for the joint force to achieve enduring stability and security across the Pacific. A sustainment headquarters recently took a hard look at developing joint sustainment recommendations to reinforce this foundational aspect of setting the theater to meet the readiness demand signal for the Joint Force scattered across the vast Pacific theater. In July 2016, the Pacific Sustainment 2025 white paper offered tangible, research-driven recommendations for the DoDin addressing the challenges of an increasingly unpredictable Indo-Asia Pacific. The white paper offers new thinking about the projection and sustainment of joint power in terms of how the U.S. Army can leverage its people, posture and processes. Pacific Sustainment 2025 offers three recommendations with regard to people. First, initiate earlier, more effective junior and mid-grade leader development at the theater level. Second, develop a more effective long-term vision of talent management across the theater. And third, integrate the reserve component more effectively to improve Total Force readiness for theater planning, operations, and activities. While resourcing constraints are an inevitable part of the war/peacetime cycle, there remain untapped opportunities to share the most unique resource, people, across multiple organizations. Leader Development: All services have a need and desire to conduct leader development programs on a regular basis. Is there perhaps an opportunity to align these programs within specific theaters to develop joint, mid-grade leaders with a common shared understanding of both the relationships and capabilities available for them to leverage as they operate across the same operating environment, yet within their unique organizations? The Young Alaka’i Leader Development Program (YALDP) serves as the perfect example of an opportunity to develop leaders across the joint community earlier in their careers. While designed originally with only the sustainment community in mind, the evolution of this concept has led to its growth as a program now available to any soldier, sailor, marine, coast guard or airman assigned to the USPACOM area of responsibility. This program, the first of its kind in DoD, invests in leader development by bringing together mid-grade commissioned, warrant and noncommissioned officers from across the joint and multinational community. These tactical, technical, and unit leaders have the rare opportunity at their level to engage, develop, and learn from theater experts and senior leaders residing at the operational and strategic level. Once complete, these leaders return to their units better prepared and more regionally aware as they work toward real-world tactical solutions, while being mindful of operational and strategic implications. For instance, in October 2015 an Army Engineer traveled to the Maldives as part of a small assessment team tasked with proposing solutions to the sea erosion of coastal ports. This engineer may have still succeeded in his mission without attending the YALDP. However, upon return to his unit in Hawaii, he reiterated the Young Alaka’i skills he gained from the baseline introduction to cross-service capabilities and strategic understanding directly contributed to his ability to provide higher qualitative inputs while on the ground, both in the Maldives and at the embassy. The return on investment for these tactical actions paid dividends at the strategic-level by advancing and enhancing relationships with this multinational partner. Talent: The Pacific Logistician Talent Management (PLTM) strategy provides another concept that goes hand-in-hand with the Young Alaka’i Leader Development Program. This talent management strategy employs commanders to leverage manning cycles, authorities, service schools, assessments and other opportunities to anticipate future intellectual requirements. By expanding the talent management responsibility outside of the traditional human resources command realm, or its service equivalent, commanders can identify talented individuals whose potential can be developed to enhance force capability. The Air Force currently utilizes a stabilized tour deferment program which enables the mission or function of some organizations to manage an airman’s period of assignment more closely than would be realized by normal attrition or time on station requirements. Certain aspects of this model may have relevance in other services as well. Ultimately, this type of regional practice could enable any unit from any service to ensure service members get the best training and job opportunities on a rotational basis, to increase continuity, within the region. For example, at the National Defense University Eisenhower School senior logisticians have the opportunity to tailor their academic research toward specific theater challenges they are likely to encounter during their follow-on assignment. This forward-thinking preparation proves invaluable because it mitigates the steep learning curve that comes with being assigned to key positions in a new theater for the first time in one’s career. Total Force: In finding new ways to attack evolving problems in a resource-constrained environment, integrating the reserve component is vital to allocate capabilities to fulfill joint operational gaps and requirements. In the Pacific, almost 80% of sustainment capability resides in the reserve component—therefore, any operational plan that fails to continuously integrate these partners shortchanges the joint team. With this in mind, an Army Theater Enabling Command held a conference in April 2016 aimed at identifying future exercises and opportunities to increase Army readiness across a regionally aligned Total Force. The California-based 311th Expeditionary Sustainment Command and 79th Sustainment Support Command worked with the Theater Sustainment Command to identify areas where they could provide greater redundancy as the lead joint synchronizer for common user logistics in USPACOM. Efforts like these can contribute to synchronizing Total Force participation in Pacific operations and exercises over the coming two to five years. This work with the reserve components is critical to identify and resolve deployment timeline mismatches between early arriving required forces and mobilization timelines required for specialty reserve logistics capability. This further facilitates readiness and a proactive versus reactive mentality to overcome organizations from across the Joint Force working together for the first time once crisis strikes. Geography plays an important role in how the Joint Force operates, communicates and conducts sustainment mission command in the 21st century. Unfortunately, not all units in the Pacific are forward stationed for a myriad of reasons, mostly political. Those sustainment capabilities and assets positioned east of the International Date Line are no different in many ways to headquarters stationed in the Continental United States: both are days away from a potential crisis whether moving by surface or air. This only further emphasizes the importance of both posture and projection. Improved strategic positioning equates to enhanced readiness. 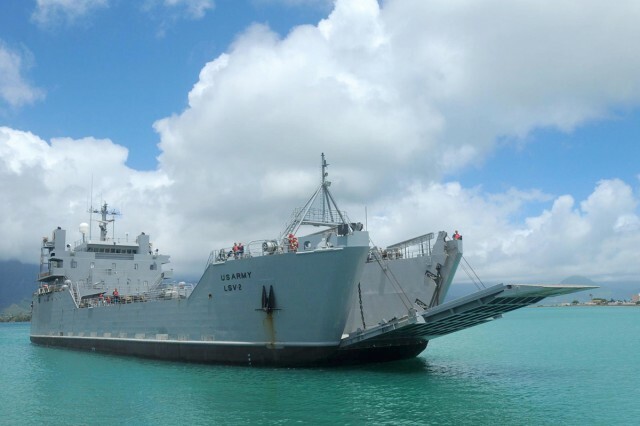 There is a rare opportunity to reset or transform traditional supply points and distribution lanes in the Pacific through exercises, relationships and improved positioning. Theater Access Sustainability Exercise: Fostering a climate of regional cooperation, cultural understanding and mutually supporting efforts requires exercising appropriate training concepts. In the case of sustainment, a theater-wide sustainment exercise could identify and develop U.S. defense investments while reassessing and maintaining outdated assets across the Pacific. For example, many of the critical sustainment infrastructure in the Pacific region averages 61 years in age, which is nearly double the average compared to the other theaters. Coupled with corrosion impacts and the lack of military construction funding, these prior defense investments now present critical vulnerabilities. These vulnerabilities take the form of climate controlled warehouses to prevent corrosion of equipment and supplies, CONUS and OCONUS port infrastructure, fuel distribution capacity, and a munitions infrastructure that must be reviewed, measured and maintained. With alternate funding streams available and offered in Pacific Sustainment 2025, there is an opportunity to align this type of politically-acceptable sustainment-centric exercise directly to current service exercises already being conducted in theater to facilitate USPACOM’s projection of power (RIMPAC), persistent presence (Pacific Pathways), and pursuit of emerging areas of engagement (Port Opening in Cambodia). Positioned Forward: Additionally, the conditions might be right to revisit and strongly reconsider positioning against the emerging environment. For example, the comparative advantage for the value of joint sustainment in Northeast Asia is evident when logistics serves as the leading conduit for bringing together military leaders from both the Republic of Korea Army and Japan Self Defense Force to cooperate and work toward solving their collective sustainment challenges together. Many of the compounding operational concerns today in Northeast Asia mirror those from 60 years ago. The lack of progress in solving some of these issues is in large part a result of the lack of transparency between both the Ministries of Defense in the Republic of Korea and Japan. However, logistics provides the common ground for shared concerns at the operational level, as evidenced during USPACOM’s Strategic Sustainment Summit in May 2016. In recent years, both have acknowledged the need to cooperate and communicate better with regard to support and transload requirements. Joint Publication 4-0 stipulates that the theater sustainment command is responsible for sustainment support to Army forces, and when directed, to joint or multinational forces. However, in order to execute these doctrinal requirements, authorities would need to be directed by the ASCC and GCC level to support the TJFLCC and other functional joint commands. Therefore, why not leverage and position these elements and capabilities to facilitate the recent gains achieved on this common ground through its already fluid coordinating relationship with the joint logistics enterprise? As an intermediate staging base, Japan is the natural pivot point to logistics shortfalls in Southeast Asia in terms of supply, maintenance, transportation, petroleum and port and terminal operations. Maybe the time is now to reconsider the posture and location of vital theater sustainment coordination elements such as the Theater Sustainment Command? While the critic may offer this risks a theater asset then becomes myopic or increasingly susceptible to regional adversaries, the overwhelming value of coordinating and connecting the interior and exterior lines across multiple joint operational areas might be worth the incurred risk of being at the decisive point. Joint Publication 3-0 defines this decisive point as the geographic place, specific key event, critical factor, or function that allows commanders to gain a marked advantage over an adversary or contribute materially to achieving success. In the end, posturing and testing readiness forward (or in the Pacific, west of the International Date Line) is vital for setting the theater because it shortens delivery times, enables rapid transition in a crisis, and reduces the burden on the tactical operator in theater. Posturing initiatives which reinforce the value of geographical dispersion and operational resilience inform resourcing decisions for the joint force as a whole, and also reinforce the train and you fight mentality. Based on the lack of predictability with resourcing, it is no secret that the American military of 2025 is being built to provide joint solutions to future challenges. Coordinating efforts to pool combined resources might mitigate the problems that come with insufficient resourcing in theater. The “borrow a cup of sugar from your neighbor” mentality would at the very least add to a menu of options for commanders. For example, in August 2015 following a typhoon that struck Saipan, the 7th Engineer Dive Team was called upon to recertify the local ports in support of disaster relief operations. Facing a multitude of variables, which included the lack of dedicated strategic lift assets in the Pacific for contingency (in this case, disaster-relief), critical dive team equipment was forced to travel by surface, resulting in an estimated response time of 17 days. Eventually, an opportunity to transfer the appropriate, on-hand equipment from a forward stationed Coast Guard unit directly to the 7th Dive Team provided enhanced operability and shortened the estimated delivery time. Operational-level joint sustainment coordination, interoperability and communication proved vital in this scenario. With real-world opportunities like these in mind, Army logisticians conducted individual engagements and office calls with Pacific Service Sustainment Partners from U.S. Pacific Command, Pacific Air Forces, U.S. Pacific Fleet, Marine Forces Pacific, Air Mobility Command, U.S. Transportation Command, the Surface Deployment and Distribution Center, and the Defense Logistics Agency, among others, in an effort to open an intellectual dialogue on the potential for a theater sustainment concept that supports the joint force as a whole, as opposed to just the Army. The concept centered on a coordination-centric rather than a command-centric entity. While there was some debate regarding the details of joint sustainment, every service agreed there is clearly a definable need for greater visibility over sustainment-related practices and processes. Who better to fill this void than the Theater Sustainment Command? While the critic may offer that this is the role of the USPACOM J4—this joint staff is primarily geared toward policy and planning, and currently lacks the personnel and command authority to oversee sustainment operations in crisis or contingency. With the proposal of an organization that does not necessarily require ownership of a capability to influence action—even absent key authorities, a Joint Sustainment Component Coordinating Command (JSC3) could anticipate requirements, balance capabilities, forecast demands and facilitate long-range planning as a feasible, acceptable option for enhancing joint sustainment integration in the Pacific. As the senior sustainment headquarters in theater and the lead synchronizer for theater sustainment, the Theater Sustainment Command has the potential to maintain the joint logistics common operating picture (J-LOGCOP) through its ability to coordinate and strengthen relationships during service, joint and multinational operations, actions, and activities. The value of an accurate J-LOGCOP is displayed in the warfighters ability to accept prudent risk and make informed decisions based on a clear understanding regarding operational agility, endurance, and reach. The JSC3 serves as a conditional option and a point of departure for achieving this synergy. There is a very definitive reason why “set the theater” is yet to be defined in doctrine. Simply, it is difficult to standardize something that is defined differently based on each specific theater. While this disparity stirs debate and sparks confusion, the ability for the logistician to provide options which not only sustain, but advance joint capabilities remains a necessary expectation. Pacific Sustainment 2025 offers theater-level options that could accelerate leader development and talent management programs, improve response times based on an improved posture across dispersed locations, and deliver desired effects with greater precision across multiple echelons through a joint coordinating command. Each of these options enhances readiness. Regardless of the theater, the right people, posture, and processes are critical to sustain the joint force the United States relies upon to respond during the crisis and contingencies of tomorrow, in 2025, and beyond. Marc C. Vielledent is a U.S. Army officer and strategist for the 8th Theater Sustainment Command. The views expressed in this article are those of the author and do not reflect the official policy or position of the U.S. Army, the Department of Defense, or the U.S. Government.